We sing the same songs, caught on the breeze… We sing the same songs, across the same seas. Written and illustrated by the award-winning Britta Teckentrup, this beautiful and heart-warming peek-through picture book celebrates the closeness of the world’s communities through their shared hopes and dreams. 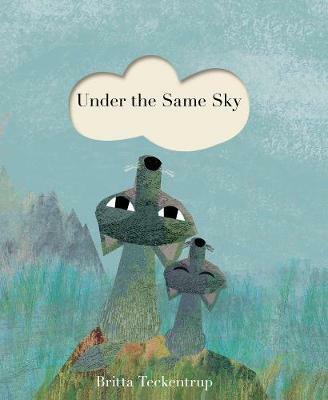 Under the Same Sky celebrates the things that unite the natural world, with gorgeous artwork and a gentle, life-affirming text. It seems so simple, yet it is often so complex to recognise and applaud all that we share and experience, rather than concentrating on the differences. It is truly lovely to show children that the basic emotions are common and intrinsic to us all in a beautifully, contemplative way. For ages 2–5. Alexa Dretzke is a Children’s & YA Book Specialist at Readings Hawthorn.